Study or surf the web comfortably in this modern-style desk chair. 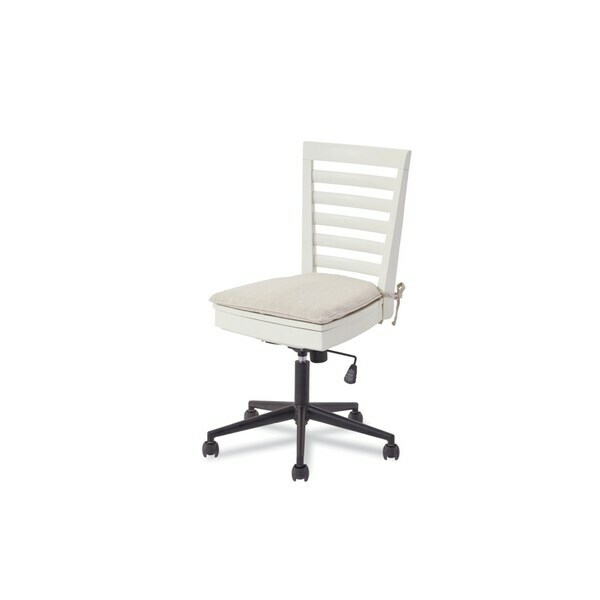 This wooden desk chair features casters for easy movement and has a modern color theme of grey and parchment for a streamlined look. "What are the minimum and maximum seat heights?" Floor to seat without cushion is approximately 19-22 inches. With the cushion it is approximately 21.5-24.5 inches.